The Mo and I visited the Blue Taleh for a quick birthday dinner before heading to a Halloween party. He loves sushi and we wanted to stay local so he suggested this downtown Lowell restaurant. We were lucky to grab the last table for two as the restaurant was almost filled to capacity upon our arrival. For starters, we split our two favorite maki rolls, mine being the soft shell crab "Spider Roll" and his being the Caterpillar Roll. 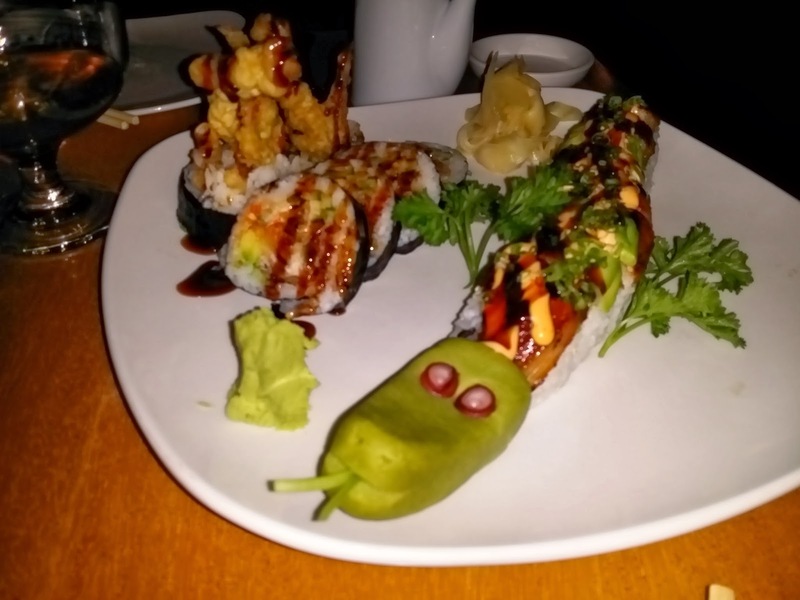 I loved the presentation of the two maki rolls and the sushi chef creativity using the green wasabi to shape the caterpillar's head. It was so cute, I didn't want to eat it! The rolls were delicious and fresh! The Mo ordered phad thai for dinner (not pictured) and he said it was good. I got the chicken lettuce wrap. 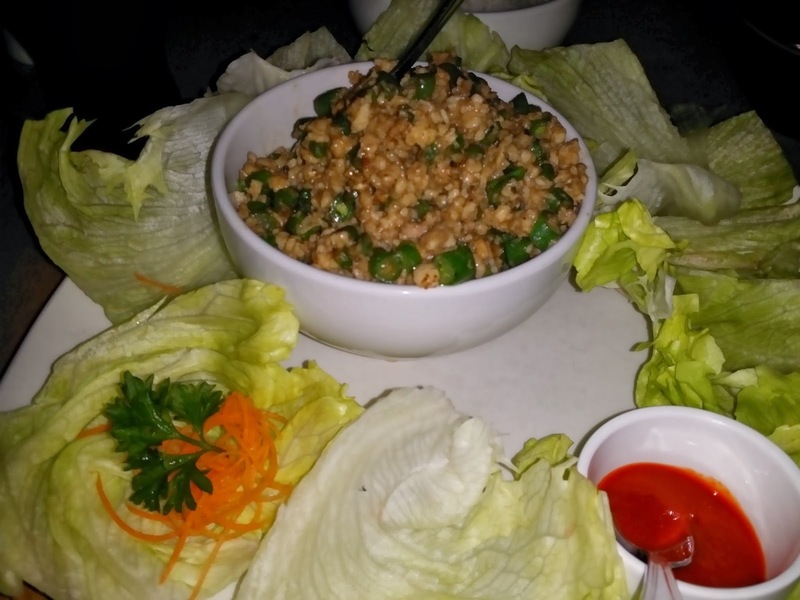 It has got to be my most favorite version beating out the famous P.F.Chang's lettuce wraps. Blue Taleh's version is stir fried ground chicken in a house special soy sauce with string beans and hot sauce on the side. There was enough leftovers for us to take home and enjoy it the next day. The restaurant is a little on the pricier side but the ambiance and food is worth the difference.